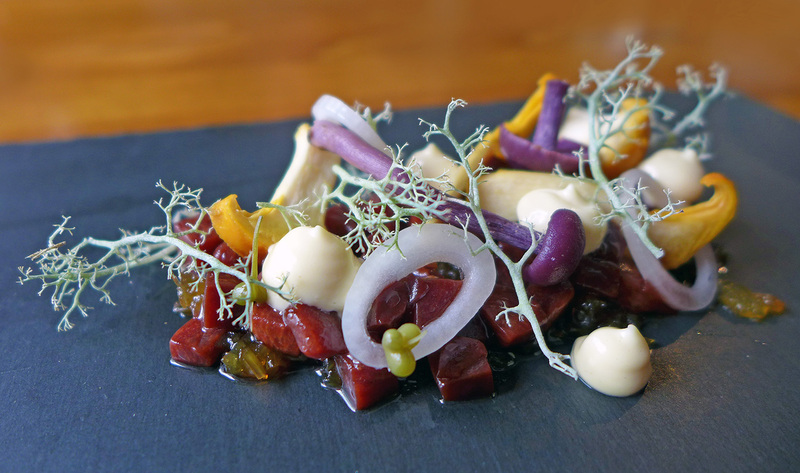 Rogan & Company – Late Summer Tasting menu. A last minute request to work the weekend ended up spoiling my well made plans so a quick message down to Cartmel and i was smiling again. I managed to get booked in for a last minute Friday lunch slot and a marvellous late summer tasting menu cooked by head chef Kev Tickle. I`ve already blogged R&Co so i`ll go straight to the food. Westcombe Cheese cracker with pickle. 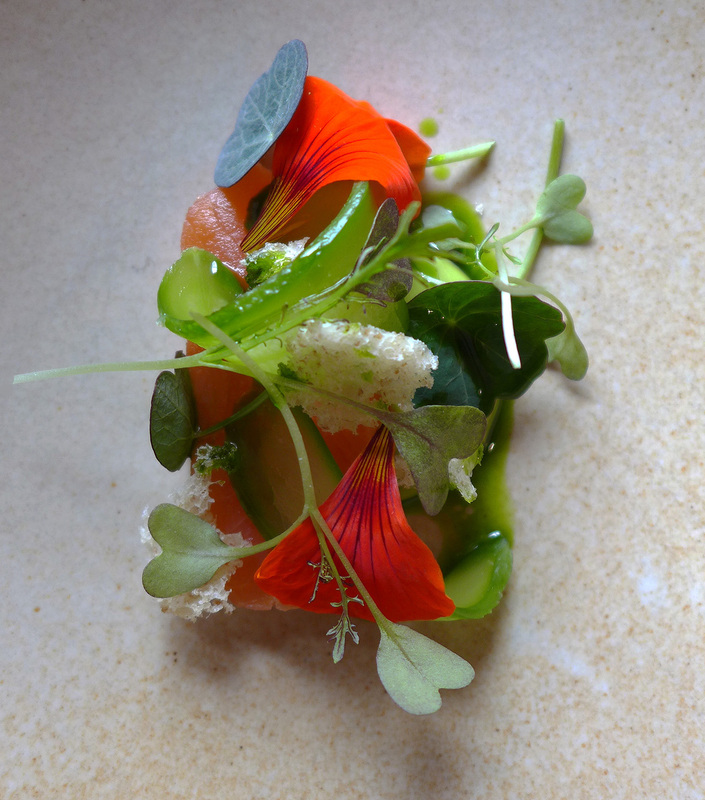 Cured Bessy beck Rainbow Trout with Oyster and Dittander emulsion , Nasturtiums and Sourdough crisp. 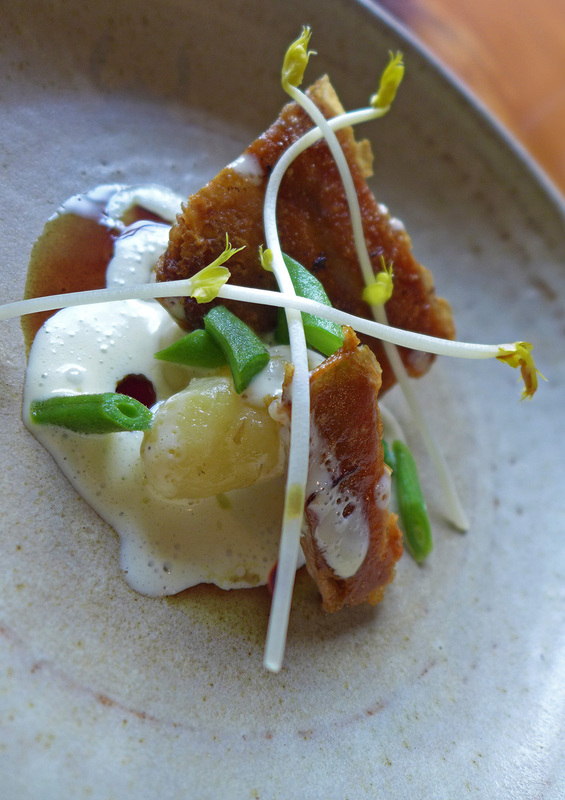 Crispy Pigs trotter with heritage Potatoes , runner Beans and a Mugwort cream. 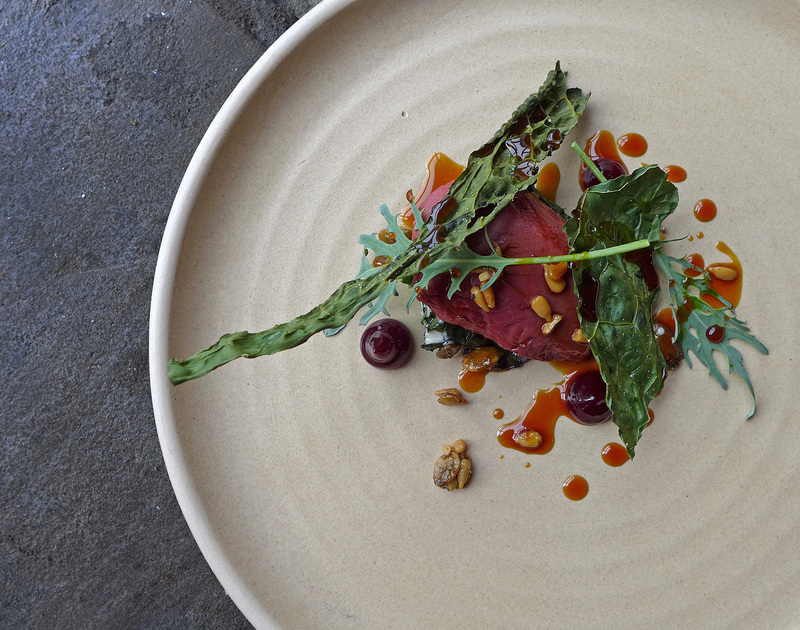 Cartmel valley Pigeon with creamed Kale , Camomile and Blackcurrant. 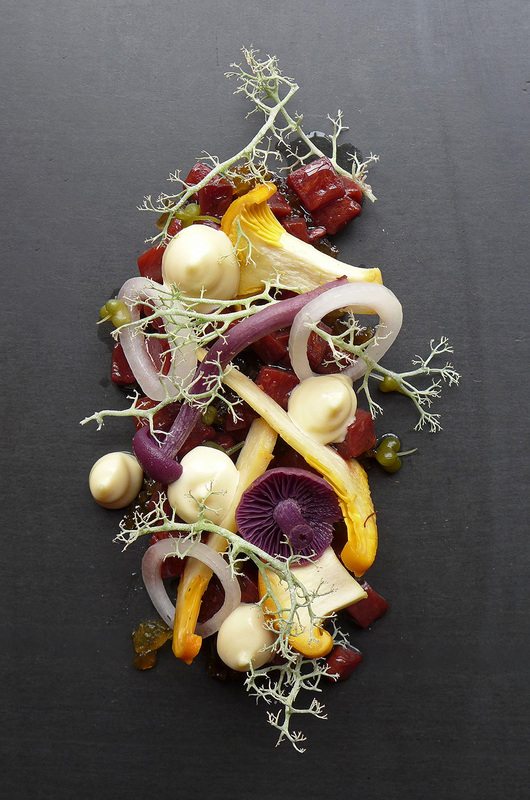 ” A foragers play on Marks signature ” – Beefsteak fungus tartare with Garlic aioli , Shallot jam , Ramson ( wild garlic ) capers , Coal oil and Local fungi. ( The wild fungi are Chanterelle and Amethyst deceiver ).There was also Reindeer moss / lichen added to finish the dsh off perfectly….a work of art. I like to think i`m a bit of an amateur fungi hunter myself but this was the first time i`d ever set eyes on one of these mushrooms…. 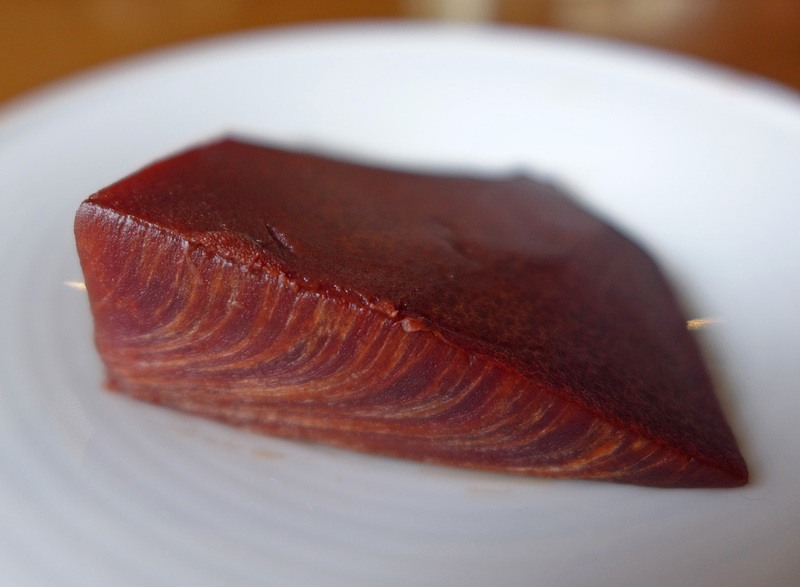 It`s a Beefsteak fungi , named for very obvious reasons…wow. 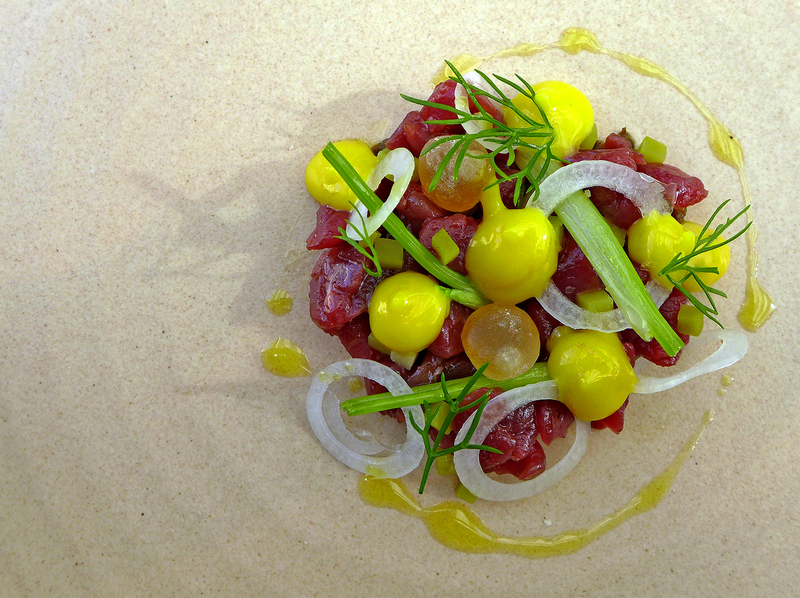 This was a brilliant and alternative , very well thought out twist on a Rogan / Birchall classic signature dish. 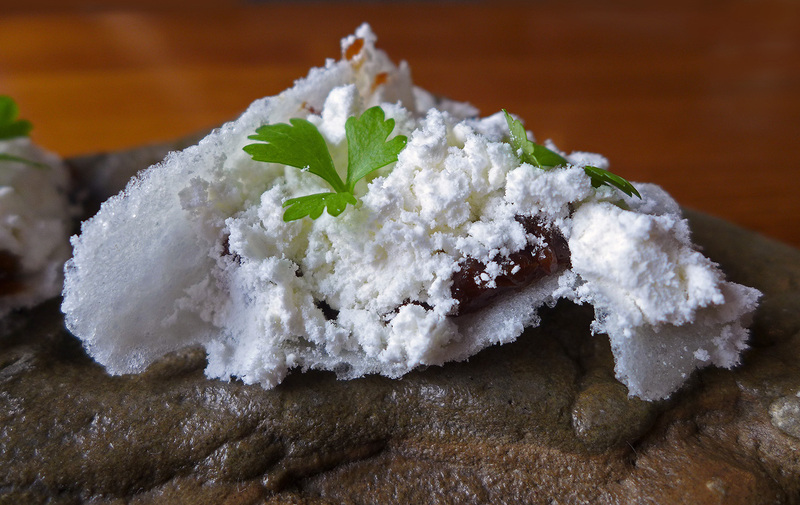 At Lenclume , the meat in this dish is normally Cartmel valley Venison ( see pic below ) whilst at “The French” in Manchester they use raw Ox. Kev Tickle replaced the meat with Beefsteak fungus and i sat looking at the plate open mouthed , what a guy and what a stunning plate of food. 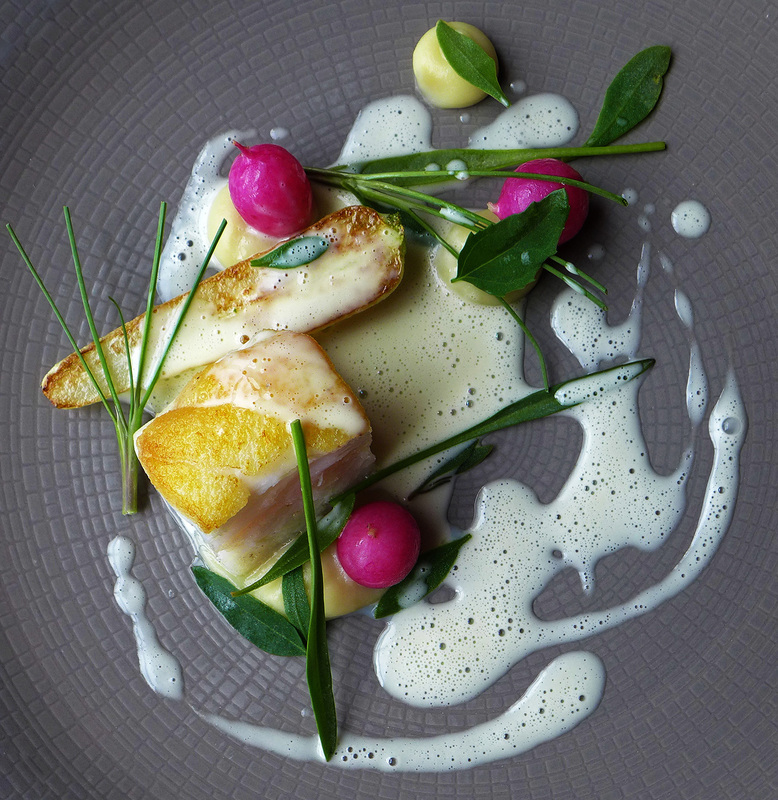 Grilled Cod with heritage Radishes , Turnip and coastal greens. 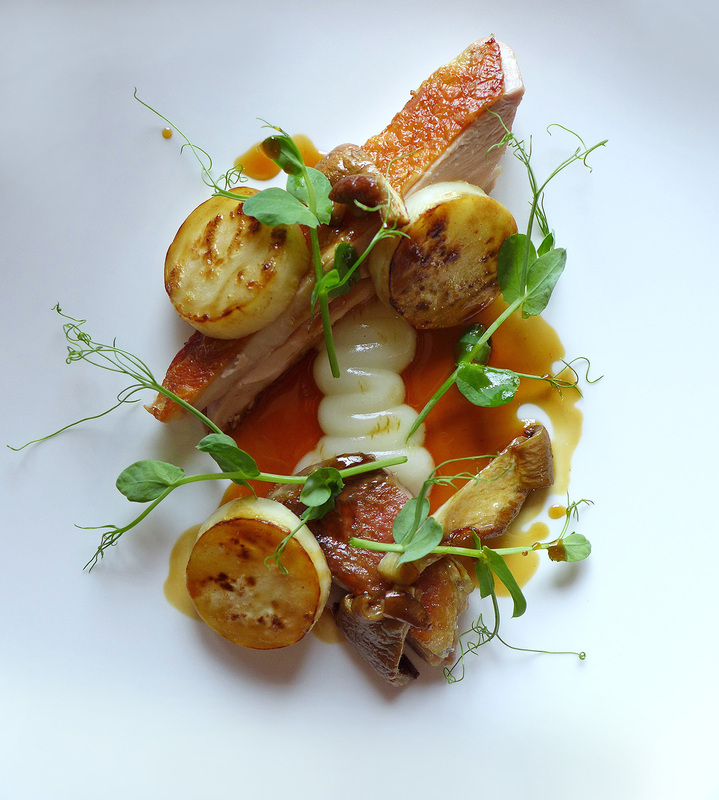 Goosnargh Guinea hen with Bacon , Celeriac and oyster mushrooms. 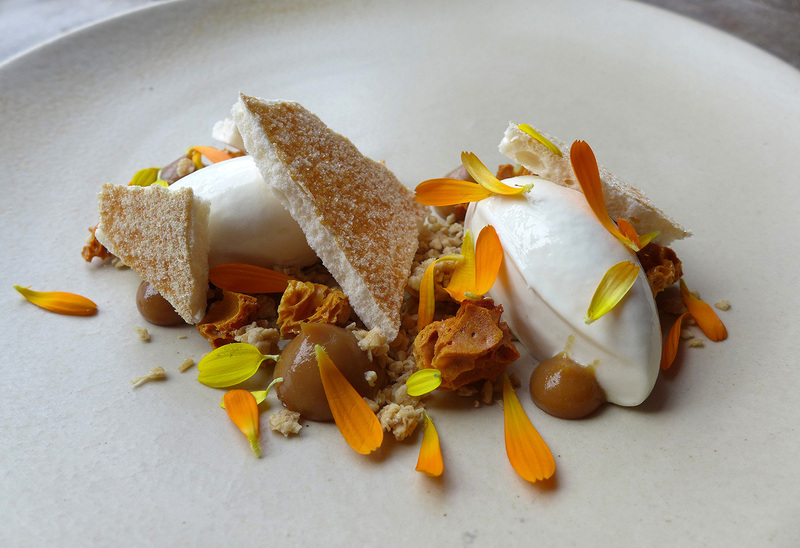 Caramelised Apple with Plum crumble ice cream and Apple marigold. 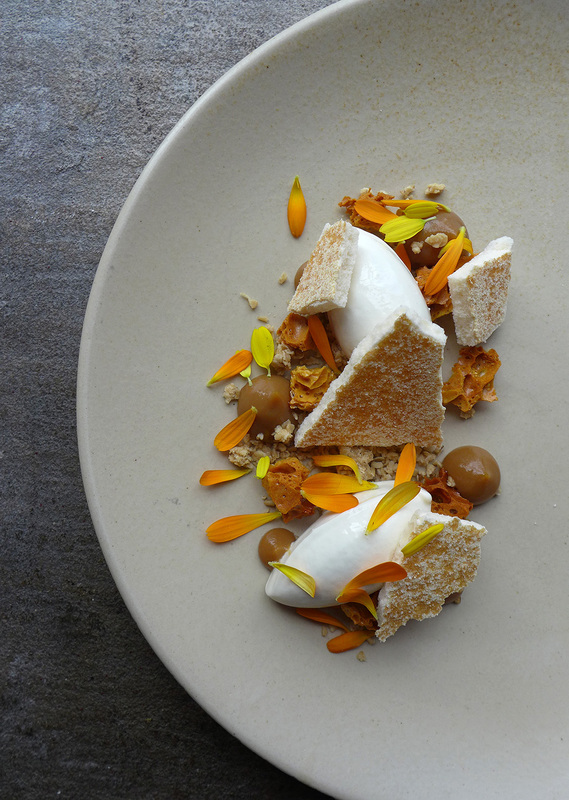 Meadowsweet ice cream with sour Yoghurt meringue, Granola , Honeycomb and flowers. 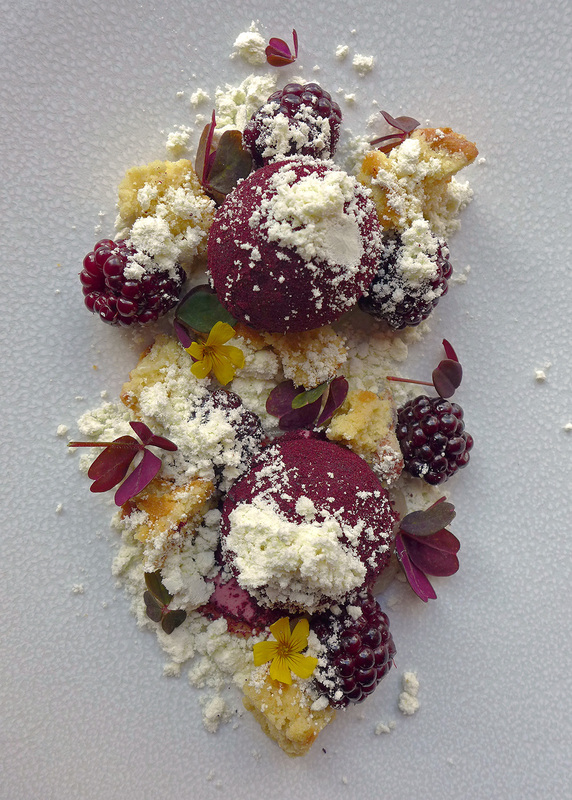 Blackberry parfait with Cobnut frangipane , poached Blackberries , Douglas fir and Oxalis. Once again an amazing lunch with the Cartmel team , service excellent , faultless flow and i`m buzzing over it. 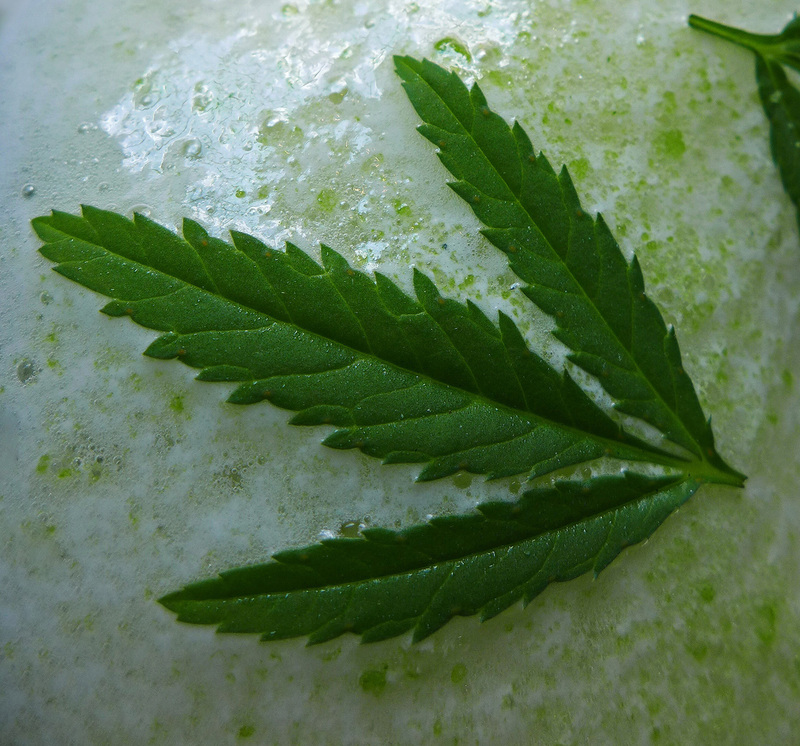 Back to Lenclume next for an Autumn feast with chef Mark Birchall. Previous Post Restaurant “Urban” – Hotel Istana , Kuala Lumpur. Next Post The Rib Room at the Landmark hotel , Bangkok.